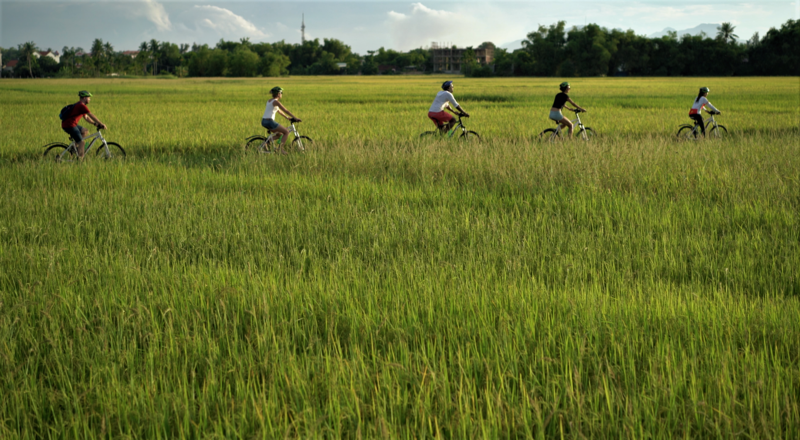 There is no better way to experience all that is Hoi An than cycling from the historic district across the river and through the beautiful small villages and adjacent rural scenery just beyond the crowded tourist zone. Our half-day cycling adventure takes you beyond the tourist zones to immerse you in the culture, history, and commerce of the region on a tour designed for all ages, families, even kids. The scenery is sublimely rural and the experience so very Vietnamese. As one guest remarked, "It's like riding back in time compared to the modern amenities of my hotel." Yet it's only a stone's throw from Hoi An.